At LuminaSkin, a ReFirme™ skin tightening session is a short 30 minute FDA cleared treatment that is a safe, effective, virtually painless non-invasive solution for wrinkled and sagging skin for face and neck. 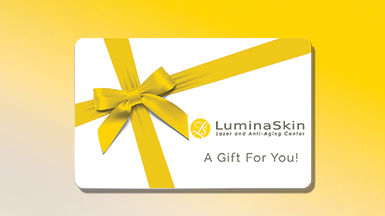 LuminaSkin can Help you Age Gracefully and Beautifully. ReFirme™ is a FDA cleared non-invasive Skin Treatment procedure* featuring the revolutionary elōs™ technology that enables you to comfortably achieve a more youthful, toned and lifted appearance without enduring downtime. ReFirme™ is a complete anti-aging solution that works on areas that age the most such as: sagging jowls and neck and loose skin under the eyes. It also helps to lift brows and soften nasolabial folds. ReFirme™ offers virtually painless and fast treatment for sagging and wrinkled skin. ReFirme™ is a safe and effective industry-leading medical aesthetic technology, which has received national media exposure through The Rachel Ray Show, Carnie Wilson feature on Extra, Star Magazine and many more publications and television shows. Went into office to take advantage of a great special they were offering. Always greeted with a smile and by my name. Great staff and great service !! Facial therapy procedures take about 45 minutes. Afterward, there is just a flush, not really redness. It goes away in an hour or two. You can apply makeup right afterwards. It’s a perfect lunchtime treatment because you can go right back to work. Typically five treatments every 4-5 weeks needed to achieve the best results. Supporting and maintenance treatments – approximately every 6 months. For optimal results discuss your personalized ReFirme regimen with LuminaSkin. At the end of the treatment regimen: Fine wrinkles are reduced, noticeable lifting can be observed on sagging skin and the texture of your skin becomes smoother, more luminous and toned. Individual results may vary. elōs™ is the first and only technology that simultaneously harnesses the power of bi-polar radio frequency (RF) and optical energy. Developed by Intense Pulse Light inventor/patent-holder, Dr. Shimon Eckhouse and master physicist, Dr. Michael Kreindel. 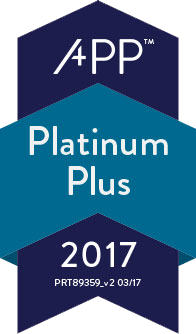 This revolutionary technology platform effectively overcomes the safety and procedural limitations of intense pulse light (IPL) and conventional lasers.